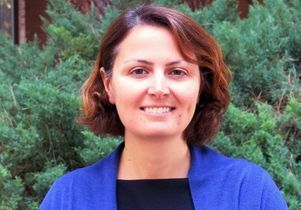 While visiting Phnom Penh in 2005, UCLA information studies professor Michelle Caswell discovered the haunting images displayed at Tuol Sleng Genocide Museum, the site of atrocities committed by the Khmer Rouge upon the Cambodian people in the late 1970s. The results of her curiosity about the mug shot-style portraits of prisoners — the vast majority of whom did not survive their time at Tuol Sleng — were Caswell’s doctoral dissertation and most recently, her new book, "Archiving the Unspeakable: Silence, Memory, and the Photographic Record in Cambodia," which was released in April by University of Wisconsin Press. 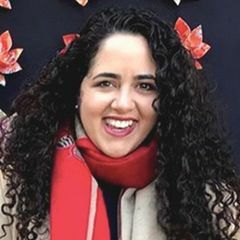 In addition to her research on human rights archives, Caswell is a co-founder of the South Asian American Digital Archive, a website dedicated to helping communities of immigrants from India, Sri Lanka, Nepal, Bangladesh, and Pakistan tell the stories of their lives in the United States. Joanie Harmon of the UCLA Graduate School of Education and Information Studies had the opportunity to speak with Caswell about her new book and the growing field of archiving sensitive materials on human rights violations in a way that respects survivors and victims, documents their history, and provides valuable information for communities, scholars and historians. This Q&A appeared in the April 8, 2014 issue of Ampersand, the magazine of the UCLA Graduate School of Education and Information Studies. What are the unique challenges to archiving records of violence and genocide? In the past, most of the systems that have been designed to archive sensitive records have not really taken into account what the victims’ needs are. I’ve recently written an article for Archival Science titled, 'Towards a Survivor-Centered Approach to Human Rights Records,' looking at ways to build systems of archiving and of dealing with these materials that are focused on the needs of victims' family members and survivors. I think it's important to preserve records with legal adjudication in mind, and for future research, to be used by journalists and government officials. But I think our primary ethical responsibility is to the victims, their family members and the survivors. This victim-centered focus shifts the discourse in the field because it is assumed that since most of these records are created by governments, that they belong to the successor states and in government repositories, which have not always had the victims' interests in mind. There are all sorts of sensitivities regarding privacy, who should have access, and how to design systems that have access points so that people can find their own records or find records about a missing loved one. I think we should also develop archival sensitivity about access, description, and context when those records are being viewed. How did the photographs affect you personally? I was completely taken by these photographs. There's something about them that is really fascinating and disturbing. Viewing them puts us in this paradox ... the victims in the photographs are staring at us, but they can't speak. They can't tell us what's going on, and we’re too late. There's nothing we can do to stop their fates; their fates were already sealed by the time the photograph was taken. What do you think motivates the majority of tourists who visit the Tuol Sleng Genocide Museum? Tourists who come to Cambodia often get a bad rap because it's seen as thanatourism or 'death tourism.' Perhaps these tourists want to experience the 'exotic' horror of this genocide. And I have seen bad behavior by tourists at Tuol Sleng. But I think the majority of tourists who go really are trying to find meaning and want context and more information. The museum, as it currently is, has virtually no contextual information. That site is in complete disrepair, which I talk about in the book. But I think that most tourists are looking for a meaningful experience and are trying to make sense of what they see while they are there. What impact do the Tuol Sleng "mug shots" have on Cambodian and foreign culture today? There's a Cambodian-American hip-hop artist named Bochan Huy who has a music video where she remixes a Cambodian song from the 1960s and she raps over it. In the video, she recreates the mug shots with living people, and the people in the [mug shots] start to move and sing along. At the end, they come together at a political rally, holding up mug shots of people who I assume are disappeared people from other parts of the world. The mug shots are very much alive in the collective memory of the genocide. People in Cambodia and around the world attach all sorts of meaning to the images. You see them online often, in travel blogs, in art installations, in photographs of people looking at them. In the book, I discuss travel blogs in which foreign tourists go to Cambodia, visit Tuol Sleng, and take photographs of the mug shots on display there and also pose for photos with the two survivors who are usually sitting in the courtyard of the museum selling their books. How do victims' families and survivors generally feel about the incorporation of these images into tourist "snapshots" and other materials? I think from the perspective of the two survivors who sit in the Tuol Sleng courtyard, they want their photographs to be taken. They want a documentation of the fact that the only way they can earn money is to pose for photographs with tourists in the courtyard of the museum. The survivors stand in front of signs that say, 'I’m a survivor of Tuol Sleng; take a picture with me and buy my book,' or they have handlers who speak English and can engage the tourists that way. I argue in the book that those photographs are actually staged by the survivors as a way to record not just the miracle of them surviving Tuol Sleng, but the injustice of them being in an economic situation where posing for tourist photos is the only way they can earn a living. It's unclear how the majority of Cambodians might feel about how these photographs are circulated by foreigners online. As of 2010, less than half of one percent of Cambodians have Internet access. Originally, when the Documentation Center of Cambodia and the Yale Cambodian Genocide Program digitized the photographs in the mid-1990s, the original intent was that all these Cambodians worldwide would be able to go online and identify their family members in the photographs. But it didn't work that way, so the images circulating online are more likely to be viewed by an international community than by Cambodians. 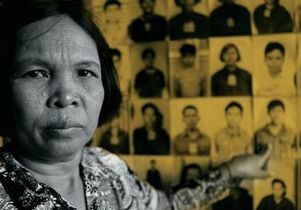 Is there a sense among survivors and victims' families that publicizing these images will not only tell the story of Tuol Sleng, but prevent future genocide? The Documentation Center of Cambodia, which is led by Youk Chhang, who is himself a survivor of the Khmer Rouge, explicitly links the collecting of Khmer Rouge materials to the prevention of genocide worldwide. Right now, he is working on helping people in Syria document ongoing violence. He's worked in Guatemala and Burma as well. So there are all kinds of connections being made with documenting ongoing genocide that is happening right now or in the recent past. Usually, archivists are focused on the past. This is a new shift in thinking that the emphasis on human rights is providing to the archives field: to talk about how to prevent something or document something to draw attention to it as it is happening, rather than thinking about what happened historically. What were some of the most difficult parts of putting such a book together? Just looking at the Tuol Sleng images themselves is very difficult because they're so disturbing and jarring. It's hard to maintain a good spirit when you're working on such intense and depressing materials. I have all these ethical questions that I address in the conclusion about what it means to be a foreigner and to look at these images, and what are the ethics of looking. I still feel conflicted on how best to use these images in ways that don't exploit the victims further. It's a fine line. Some scholars have argued, not in relation to the Tuol Sleng photographs, but regarding other human rights [images], that we should not look at them — that they should be destroyed or buried. I think that does a further disservice to the victims. In the conclusion of my book, I make the argument that an archival perspective provides the most ethical way of viewing the images because it really roots them in the context of their creation. An archival perspective asserts that the photographs are, first and foremost, evidence of the Khmer Rouge's activity. I think the greatest honor we can pay the victims is to contextualize the photographs properly and use them to talk about genocide, and as a call to action to prevent further genocide. To me, that gives their memory meaning. The archival perspective really has something to add to the human rights discussion in that regard. 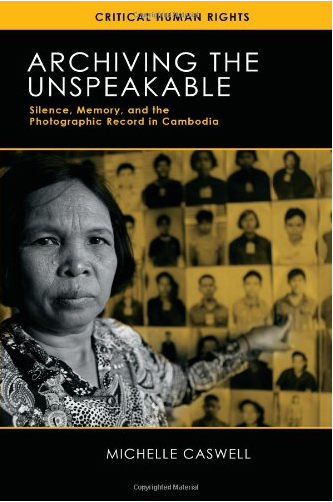 Book cover for Michelle Caswell's Archiving the Unspeakable: Silence, Memory, and the Photographic Record in Cambodia. Michelle Caswell, UCLA professor of information studies.